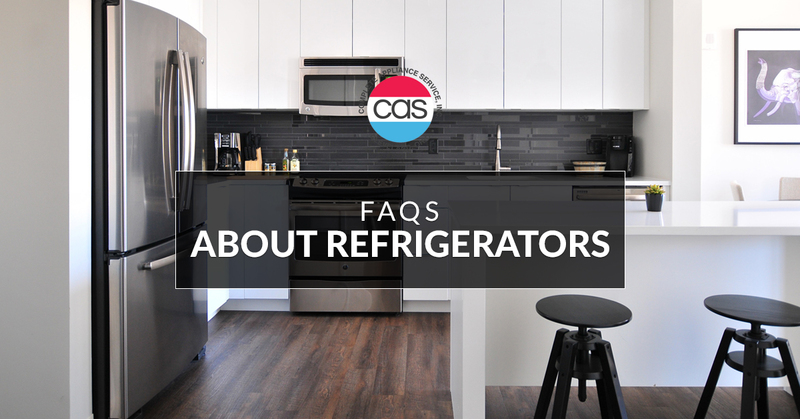 The refrigerator is one of the most important appliances in your home, but how much do you really know about it? Learn all the answers to your pressing questions here. How cold should my refrigerator be? Typically, your refrigerator should be between 36 and 38 degrees Fahrenheit. 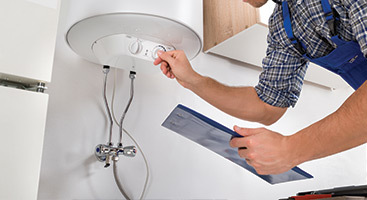 If you are finding that it is running colder or hotter, you may be having an issue that requires refrigerator repair. What sounds are normal for my refrigerator? As a piece of equipment, it’s normal for your refrigerator to make some sounds. If your refrigerator has a large amount of food in it, it may be running for longer. On the other end of the spectrum, if the fridge is too empty, there is nothing inside to retain the cold, the refrigerator has to work to maintain a low enough temperature to turn the compressor off. How often you open your fridge also contributes to how frequently it runs. In addition, you can expect other noises. When the defrost timer turns on and off, a clicking sound is to be expected. This same sound indicates that the temperature control unit has turned off or on. If you hear a gurgling or knocking sound, it’s likely refrigerant circling in the unit. It’s also normal to hear a humming sound when the ice maker is filling with water. Most sounds coming from your fridge are explainable, but if you’re struggling to discern one, feel free to give us a call and we can help you with our refrigerator repair services in Cleveland. What maintenance schedule should I follow for my refrigerator? 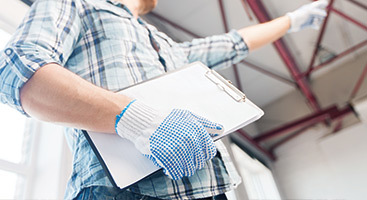 In general, you want a professional to come perform maintenance on your refrigerator once a year. As far as what you can do on your own to maintain your fridge, you can make sure the door seals are free of food residue by cleaning them twice a year, and calling us if you find that the seal has become loose. In addition, you can keep your condenser coils by pulling your refrigerator away from the wall, unplugging it, and vacuuming the coils with a brush attachment twice a year. Check the temperature regularly, and make sure you have a good balance of food stored inside. How long do refrigerators last? This can vary depending on how up-to-date you keep on maintenance, the model, as well as other factors, but in general, you can expect your refrigerator to last you around 15 years. Can I change the direction by refrigerator door opens? Many models of refrigerators offer the option to attach your door on either side. If you haven’t invested in your refrigerator yet, you can check if you can custom order the door to hinge a certain side, or you can find a model where it’s reversible. If you want to do this to a fridge you already own, it’s best to consult your owner’s manual. You want to clean your refrigerator at least once a month to prevent a build up of odors. In addition, any spills should be wiped up immediately. To clean your refrigerator, unplug it. Remove any parts you can remove, such as shelves and drawers. Hand wash each of these, then scrub the interior surfaces with a sponge dampened with warm water. Don’t use harsh cleaners, such as window sprays, waxes, bleaches, or petroleum-based cleansers. In addition, avoid using any abrasive cleaning tools, such as scouring pads, steel wool, or paper towels. If you are dealing with unpleasant odors, wash the interior walls with warm water and baking soda. Any interior metal should be cleaned with a mild detergent and warm water, then dried with a soft cloth. You can add more protection to metal parts with a wax, but be sure not to apply the wax to plastic parts. Why is my refrigerator running all the time? I don’t know, but you better go catch it! In all seriousness, if your refrigerator is running, it can point to an underlying issue. 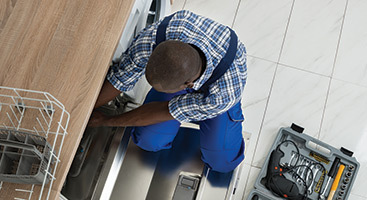 A running refrigerator means that the compressor is required to work harder than it should to maintain the internal temperature of your fridge. Make sure that there is at least an inch between your refrigerator and the wall, your condenser coils are clean, and your gaskets are in proper working order. If all of that checks out, it likely means that you need refrigerator repair. If that’s the case, we would love to help you! 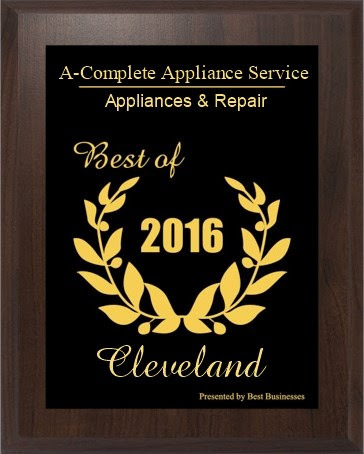 Contact Complete Repair Service for reliable refrigerator repair in Cleveland.